The inefficient use of nitrogen (N) fertiliser as a consequence of N losses from soil is a pressing issue in broad-acre agricultural systems. The research reported here tested the hypothesis that granulation of synthetic N fertiliser (urea) with a natural organic C resource (brown coal) would reduce fertiliser N loss from the soil system. 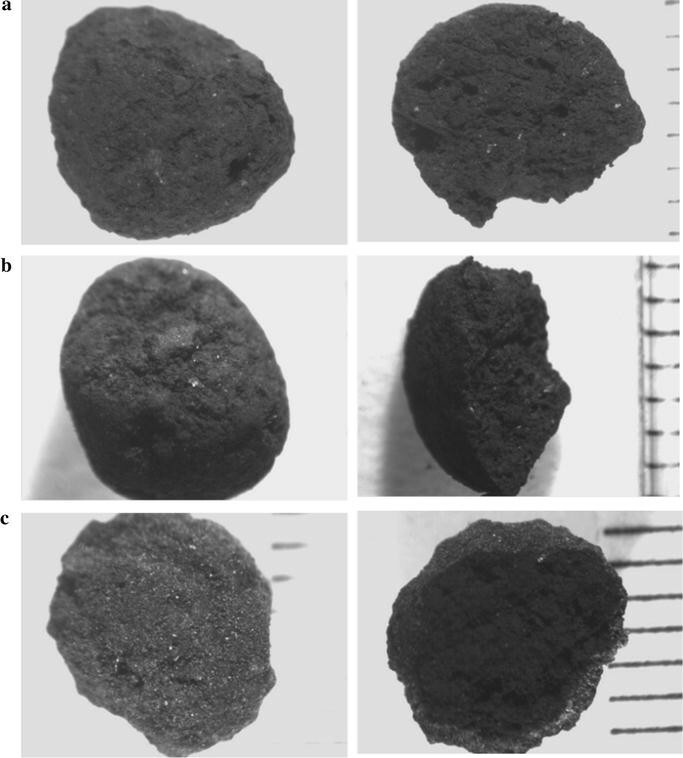 Urea-enriched brown coal granules were simultaneously formed and dried within a pilot-scale superheated steam dryer. After application to unplanted soil columns, the urea-brown coal granules reduced nitrous oxide emission by up to 40 %, reduced mineral nitrogen leaching and maintained higher levels of N in topsoil when compared to conventional urea alone. Reduced gaseous N losses without a reduction in plant N uptake were also observed in planted soil columns treated with urea-brown coal granules. Brown coal-urea blended fertiliser showed potential for more efficient use of N in the long term and has environmental benefits in retaining more N in the soil. Two major challenges facing farmers worldwide include improving nitrogen (N) fertiliser use efficiency, and reversing the widespread loss of soil organic matter. Nitrogen fertilisers are routinely applied in many cropping and pasture systems in order to increase yields and grain or fodder protein content. However a significant proportion of applied fertiliser N is often not used by the crop or pasture and the remainder is susceptible to loss through leaching, runoff or denitrification . This lost N represents both an economic inefficiency and an environmental burden, as off-site N movement in water pollutes aquifers and natural water courses, whilst nitrous oxide contributes to greenhouse gas accumulation in the atmosphere . The loss of soil organic matter has also impacted on crop productivity. Soil organic matter provides numerous beneficial functions to crop production, including a high water holding capacity; the capability to provide, retain and recycle nutrients; and the capacity to buffer changes in pH, salinity and other chemical stressors . Soil carbon also contributes to the retention of applied N , suggesting that management practices that increase soil C can also reduce fertiliser N loss. Indeed, Gentile et al. found that incorporating low quality (i.e. low % N) maize residues could immobilise fertiliser N in field soil and reduce N leaching losses to a greater extent than high quality (high % N) residues, without impacting on crop N uptake over the growing season. A number of studies have also shown that biochars can reduce nitrate and ammonium leaching from applied N fertilisers, but the effectiveness depends on the chemical characteristics of the biochars and their rate of application [6–8]. There is therefore a strong reason to hypothesise that blending common mineral N fertilisers with organic materials as organo-mineral fertilisers could reduce off-site fertiliser N loss. To date, most controlled-release N fertilisers (CRFs) rely on polymer coatings that delay fertiliser release; higher-stability chemical fertilisers that take more time to solubilise; or granules coated or mixed with specific compounds that inhibit N transformation pathways, such as urease or nitrification inhibitors [9, 10]. Of the few studies investigating controlled-release organo-mineral N fertilisers, Richards et al. showed that blending of commercial ammonium nitrate fertiliser with sphagnum peat reduced fertiliser nitrate leaching whilst still providing sufficient N for the growth of maize. More recently, Gonzalez et al. found that urea formulated together with biochar slowed down the release of urea, but none of the biochar CRFs performed as well as a commercial CRF that did not contain biochar. Brown coal, also known as lignite, is an alternative material with properties that make it appealing for use as a N fertiliser carrier. Previous work found that brown coal incorporation into soil slightly reduced ammonium availability in one soil, but the study did not look at mineral N leaching or nitrous oxide emissions . One reason that brown coals may differ in their N retention behaviour compared with biochars that unlike most biochars, brown coals are generally acidic rather than alkaline. Furthermore, whereas most biochars are of limited availability and relatively high cost of $500–3000 per tonne [14, 15], brown coal is readily available in many countries at lower cost, for example, approximately $50 per tonne in Australia. A major drawback to the use of brown coal as a carrier material, however, is its high moisture content (typically 60–70 % for brown coals mined in Victoria, Australia). This makes transportation of brown coal prohibitively expensive and thus makes drying of the coal an essential process. Dried brown coal is prone to crumble into a fine dust when handled, increasing its propensity to undergo spontaneous combustion. This introduces further difficulties for handling and storage. Dried brown coal granules of suitable strength and resistance to attrition may be a viable solution to these issues. The granulation process provides a method for the addition of N fertiliser in either liquid or solid form. Granulation is a size enlargement process, where fine particles are agglomerated into larger granules . Methods of granulating coal dust have been investigated as a means to reduce losses and optimise the use of this resource and more recently, the potential of improving the handling properties of brown coal has been investigated . During the granulation process a binder is often required to enable the particles to adhere and form larger particles. In the case of brown coal, it has been found that the water contained within the pores of the coal structure provides most of the binder requirements for the granulation process to occur. As the brown coal particles are subjected to mechanical forces within the granulator drum, the inherent water is forced to the surface of the particle and is available as binder. Additional binder may be required, depending on the brown coal used and the desired properties, such as particle strength, of the final granules. After granulation the brown coal granules still contain water that must be removed to reduce transportation cost, although the location of some of the inherent water has moved from the interior of the coal particle to the surface of the coal granules. A suitable drying method is required that both decreases the risk of spontaneous combustion occurring during the drying process and is economically viable. Many dewatering methods have been studied; both evaporative techniques that require the latent heat of vaporisation of water, and non-evaporative techniques that remove the water under pressure or using mechanical manipulation of the coal structure have been identified . In the 1980s superheated steam drying of brown coal was suggested as an alternative , providing an oxygen deficient atmosphere for drying that removes the risk of spontaneous combustion and a means of recapturing much of the latent heat required for drying by utilising the steam after the drying process. The aim of this work was to evaluate the use of urea blended with brown coal as a fertiliser. We first sought to optimise the granulation and superheated steam drying of the urea-brown coal blend, before undertaking a series of soil-based experiments to compare the leaching, nitrous oxide emissions and plant uptake of N from urea-brown coal granules versus conventional urea fertiliser. This research provides proof of concept for further optimisation of organo-mineral fertiliser manufacture using readily available lignite resources. Run-of-mine brown coal (BC) from Loy Yang, Australia, was used for these experiments. The coal had a moisture content of 50 % (wet basis) and was milled to <3 mm particle size. For lab trials, powdered urea (Sigma) was used. Granular urea (Richgro, Australia) of 2–4 mm in diameter was used for steam drying trials. Drum granulation of three different formulations for pot trials were carried out. Urea was ground into a powder and hand-mixed in weight ratios urea to wet coal of 1:3 (i.e. high N urea-brown coal blend, hereafter referred to as UBC-H) and 1:10 (low N urea-brown coal blend, UBC-L). A third formulation contained no urea. Some additional water was used as a binder in the granulation process. For batches made with urea, 500 g of wet coal was used with the appropriate addition of urea. The coal only batch used 1500 g of wet coal and additional water. The granulation was carried out in a stainless steel drum granulator with an internal diameter of 37 cm. The drum speed was set at 34 rpm. Granulation of coal with urea occurred very quickly, in less than 10 min; the product granules appeared very wet on the surface. Granulation of coal alone typically took 45–60 min. Granules were air dried for at least 72 h at ambient conditions. Product granules with a typical size of 4 mm were used for further pot trials. Wet Loy Yang run-of-mine BC was milled to 3 mm and pre-mixed with granular urea for 2.5 days at a mass ratio urea to wet coal of 1:6 (medium urea-brown coal blend, UBC-M). After this time the urea granules were no-longer visible and assumed to have dissolved into the inherent water contained within the brown coal particles. Additional water (180 ml to 1 kg pre-mixed coal and urea) was mixed with the coal/urea blend as the feed stock for the granulation and drying trial. This additional water was required to assist the granulation process that occurs at the start of the drum and to prevent excessive dust production, which could negatively impact on the granulation process. The feed formulation was added into the feed hopper at the start of the drum and then fed into the drum via a screw feeder (Fig. 1). In the first section of the drum (approximately ¼ of the drum length), the internal flights had been reduced in height to increase the residence time in this section during which the granule growth could occur. Once the coal progressed further down the drum the increased height of the flights assisted the coal granules to move more quickly along the drum, reducing the residence time in which granule breakage could occur. At the end of the drum another screw feeder removed the granules from the drum and out to the product exit chute. Product samples were collected and the particle size distribution and moisture content were measured. This pilot-scale rig has capacity to handle up to 50 kg/hr of coal. Drum operating parameters of drum speed, fan speed (steam velocity) and steam temperature were adjusted to optimise the particle size distribution and final moisture content of the product. After the initial start-up period, the conditions were changed as shown in Table 1. Each condition was maintained for 1 h.
The mass median particle size, d50, was measured by sieving the sample and determining the particle diameter for which 50 % of the distribution is below that particle size. Similarly the d10 and d90 represent the particle diameter for which 10 and 90 % of the distribution have a particle diameter below this value. The moisture content of the product was calculated on a wet basis using the product mass before and after oven drying at 105 °C for 4 h. Single particle compressive crush strength tests were carried out on product granules using a bench-top scale Instron testing machine. The maximum force applied to break the particle was measured. A minimum of 10 particles from each condition were tested and the average and standard deviation of the crush strength were determined. The carbon, hydrogen and nitrogen content of the samples were determined by combustion using a PerkinElmer 2400 series II CHNS/O analyser, operated in CHN mode. Oxygen contents of the samples were determined by difference. Samples were analysed in triplicate and a sample mass of approximately 2 mg was used. The granule surface morphology and cross-sectional area morphology were examined by optical microscopy (Motic SMZ-168 microscope with universal stand). Individual granules from both lab and pilot-scale trials were examined. The cross-sectional area of the granules was exposed by fracturing the granules with a scalpel. Although steam drying was considered the technically favourable technique for drying the urea-BC granules in terms of large-scale process safety and energy efficiency, the effect of the steam drying on the retention of the urea within the formulation was unclear. Laboratory-based drying trials were conducted on a lab granulated batch of 1:6 ratio urea-BC granules, granulation method used as described earlier. Samples (50 g) of granules from this batch were dried under the conditions outlined in Table 2. The CHN analyses of granules from these dried samples and those of batches used in the pot trials were then carried out using the method described above. A 6-week column experiment was conducted to determine the leaching and denitrification potential of urea-brown coal (urea-BC) blended fertilisers versus conventional urea fertiliser. Twenty polycarbonate columns (18 mm diameter, 250 mm height) were covered at one end with nylon mesh and then packed with 1 cm of washed sand and 88 g of soil (loamy sand). The soil occupied a volume of 60 cm3, giving a bulk density of 1.4 g cm−3. Soil columns were saturated with 50 mL of water in order to determine field capacity and bed volume. Columns were subsequently allowed to equilibrate for 10 days under free-draining conditions. After this, soils were amended with either conventional urea, UBC-H or UBC-L at a depth of 20 mm, to give a final nominal delivery of 18.4 mg of urea N per column. This was equivalent to 230 mg N kg−1 soil if evenly distributed throughout the entire profile. Two controls were also included: one contained raw brown coal at a rate equivalent to the UBC-L, and an unfertilized control. All treatments were replicated four times. After treatment applications, soils were wet to field capacity and incubated at 24 °C for 42 days. During this time three leaching events were conducted: at days 7, 21 and 35 after treatment application. At each leaching event, soils were adjusted to field capacity moisture and then eluted with half a bed volume (approximately 11 mL) of distilled water. Leachate was collected in 20 mL scintillation vials for 2 h post-leaching and then frozen for future analysis of mineral N. Greenhouse gas sampling occurred on 1, 3, 8, 10, 13, 17, 22, 24, 27, 31, 36, 38 and 41 days after treatment application, by placing a rubber septum over the top of the columns and sampling gas (20 mL) with a gas-tight syringe immediately after capping and 1 h later. Gas samples were injected into pre-evacuated 12 mL Exetainer ® vials (Labco, England) for future analysis. Headspace volumes for each column were measured independently. At the end of the experiment (day 42) columns were dissected into three 8 cm sections. Soil was removed from each section and frozen until analysis for KCl-extractable mineral N (nitrate + nitrite, ammonium) and total N.
A 6-week glasshouse experiment was conducted to determine the potential of urea-BC blended fertilisers versus conventional urea fertiliser to supply N to wheat. Wheat was grown in 1.5 kg of soil in pots of 10 cm diameter and 20 cm height in the glasshouse for duration of 42 d. Fertiliser was applied at sowing by placing fertiliser granules at a depth of 4 cm below the soil surface (2 cm below the seed). Fertiliser treatments were the same as in the column experiment described above, i.e. urea, UBC-H, UBC-L, brown coal granule control and no fertiliser control, such that each treatment received the same amount of N. Plants were watered weekly to 60 % field capacity, with a single ‘leaching’ event at 20 days after sowing. At this time, soil was watered to field capacity and then an additional 50 mL of water was applied to simulate a heavy rainfall event. Leachate was collected from holes in the bottom of the pots and analysed for nitrate and ammonium. Greenhouse gas emissions were measured weekly at 7, 14, 21 and 35 days after sowing, by connecting a 15 cm height PVC cover with a septum and sampling gas (20 mL) with a gas-tight syringe immediately after covering and 1 h later. Gas samples were injected into pre-evacuated 12 mL Exetainer ® vials for future analysis. Headspace volumes for each pot were measured independently. After 42 days of growth, all pots were destructively harvested by removing wheat shoot and roots and partitioning the soil profile into three sections: 0–6, 6–12 and 12–20 cm. Soil was analysed for nitrate and ammonium. Plant shoots were oven dried at 70 °C, ground and analysed for N content by dry combustion. Gas samples were analysed for CO2 and N2O using an Agilent 7890A greenhouse gas analyser. This system separates gases on HayeSep Q 80/100 columns followed by detection of CO2 by flame ionisation and N2O by electron capture. Gas flux over the 60 min sampling duration was checked for linearity periodically throughout both column and glasshouse experiments by measuring at 0, 20, 40 and 60 min. The flux of N2O-N was calculated by converting volumetric gas chromatography data (ppm) to molar equivalents using the ideal gas equation, corrected for temperature and pressure, and accounting for the volume of the sampling headspace and area of surface flux. For the column leaching study, hourly flux data were integrated over time by taking an average of two consecutive measurements and multiplying by the time interval, in order to calculate cumulative emissions. Because only four sampling N2O sampling events were taken for the plant growth experiments, data are reported as the hourly flux for each event. Total C and N in fertiliser granules, soils and plant tissues were measured using a high-frequency induction furnace (LECO Pty Ltd). All materials were finely ground using a stainless steel ball mill prior to analysis. Mineral N was extracted from soils (homogenised and sieved to <2 mm) with 2 M KCl using a 1:4 soil:extractant ratio. Leachates and soil extracts were filtered through 0.2 micrometre cellulose acetate prior to analysis for mineral N species by spectrophotometry in microplate formats. NH4 + was quantified after reacting with salicylate and hypochlorite in a buffered alkaline solution containing sodium nitroprusside as a reductant . NO3 − was determined by reduction of nitrate using vanadium (III) combined with detection by acidic Griess reagent . Leaching and plant experiments were established as randomised block designs. Mineral N concentrations in soil and leachate; nitrous oxide fluxes and plant growth and N content were analysed using a one-way ANOVA with 5 levels (Urea, UBC-H, UBC-L, BC control, no treatment control). Position in the glasshouse/laboratory was used as a block factor. Post-hoc testing by least significant difference (P < 0.05) was used to separate means. All analyses were conducted with SPSS. Lab granulation experiments produced batches of urea-BC and BC granules for pot trials, leaching experiments and the drying method comparison study. Initial observations suggested that granules with a higher urea content showed signs of urea re-crystallisation on the surface of the granules, as indicated by small white crystals on the exterior of the coal granules (Fig. 3c). The results of the superheated steam drying trials are shown in Fig. 2. The start-up conditions were maintained for 3 h, with product samples taken every 20 min starting at 100 min, denoted as time 0 for the experiment. The dry mass output was initially affected by changes in the fan speed, but returned to an equilibrium level of around 80 ± 15 g/min after 20 min (not shown). The mean particle size, d50, was also initially affected by both the change in fan speed and change in temperature, but returned to 2.5–3 mm after 20 min. The error bars displayed in Fig. 2 show the d10 and d90, thus represent the width of 80 % of the particle size distribution. For this trial, the d50 ranged from 1.5 to 3.5 mm. The product moisture content was relatively stable at 15–20 % moisture after the initial start-up phase. The calculated product moisture content ranged from 15 to 27 % for the conditions used in this trial. The initial feed moisture content was 58 %. At around 240 min there was an unexpected 8 min power outage after which the drum was restarted. Very little change was observed in the median particle size or particle size distribution, although a noted decrease in the product moisture content was observed and likely a result of the increased residence time of the product at elevated temperature during the power outage. The composite granules at all urea-BC ratios and for both granulation methods significantly increased in nitrogen content compared to the raw coal (Table 3). During granulation of brown coal, the wet brown coal already contains a large reservoir of water within the porous structure of the coal. As the coal is consolidated within the drum, the water is forced out of the pore structure and on to the surface of the coal particles, which allows the water to act as a binder in the granulation process. The surface water on the coal particle forms a binding agent when the particles collide, and the particles coalesce. In the case of urea addition, the urea is thought to dissolve into the inherent water within the coal due to its high solubility and is therefore eluted towards the surface of the particles as the consolidation process occurs. The granule crush strength was measured for urea-BC granules that were granulated and dried in the pilot-scale superheated steam drum dryer. Both batches had a urea to wet coal ratio of 1:6 (UBC-M). The average crush strength of 10 granules for each batch is presented (Table 3). The granule crush strength is comparatively low at 2.2 and 2.9 N, respectively for the two test batches. For handling purposes the granules crush strength should be at least 13.73 N, a crush strength of 22.56 N or greater being highly desirable . At lower N content, UBC-M and UBC-L, no significant urea crystals are observed on the granule surface or within the cross-sectional area (Fig. 3a, b). This was true for all drying methods. With the highest N content UBC-H, urea crystals were observed on the surface of the granule, but not throughout the interior as seen in the image of the cross-sectional area (Fig. 3c). To compare the effects of steam and air drying on the N content of the dried granules, a single batch of UBC-M granules was made in the laboratory drum granulator and dried by different methods (Table 4). The low carbon percentages observed for steam dried samples at 105 °C for 60 and 100 % RH were likely because the samples were not as dry as the other samples, and this is also inferred by the higher hydrogen and oxygen content. The carbon to nitrogen ratio (C:N) was calculated to compare the samples without the effect of moisture. The theoretical C:N ratio was calculated from a mass balance that assumed no loss of material during the granulation and drying process. The measured values were in close agreement with the theoretical values for all drying methods and for the different formulations (Fig. 4). The addition of urea fertilisers, as either straight urea or granulated urea-BC, significantly increased the concentration of both mineral N species in water leaching from the soil column compared with columns not receiving N fertiliser (Fig. 5). Granulation of urea with brown coal significantly reduced the amount of both nitrate and ammonium leached out of the soil profile. Increasing the ratio of BC to N (i.e. the UBC-L granule) reduced the amount of ammonium lost through leaching by over 40 %, whilst the amount of nitrate lost via leaching was reduced by almost 20 %. As expected, the addition of urea fertilisers, as either straight urea or granulated urea-BC, significantly increased the concentration of both mineral N species in the soil column compared with columns not receiving N fertiliser (Fig. 6). Granulation of urea with brown coal significantly increased the amount of ammonium residing in the top soil (0–8 cm), and reduced the amount of ammonium in middle layer (6–12 cm). The top soil of urea-BC granules contained almost double the amount of ammonium than that of the soil treated with straight urea. Granulating urea with BC did not significantly alter the amount of nitrate in topsoil compared with straight urea, but soil treated with the low N urea-BC granules had significantly less nitrate in the lower layers than the other two N treatments. Granulation of urea with BC, in particular the low N urea-BC granulation, also maintained a higher level of total N in the topsoil as compared with straight urea (Table 5). Application of N fertilisers (either straight urea or urea-BC granules) significantly increased the emissions of N2O from soil (Table 6). The high N urea-BC granules did not reduce the loss of N2O compared with straight urea. However, the low N urea-BC granules reduced N2O emissions by approximately 35 % over the duration of the experiment, compared with both other N fertilisers. No significant differences in plant growth were observed between any of the treatments, but some minor differences were observed in terms of N content (Fig. 7). Wheat growing in pots treated with brown coal control alone (no urea) had significantly lower N content than pots receiving urea or the low urea-BC blend. Greenhouse gas measurements over the growth duration of the experiment showed higher emissions of N2O from pots fertilised with straight urea as compared with urea-BC blends and non-fertilised pots (Fig. 8). This was particularly evident after the saturation event on day 21, where N2O emissions from urea-fertilised plots were more than double that of non-fertilised pots and the high urea-BC blend. At the end of the experiment, significant differences in the concentration of nitrate were observed in the different treatments (Fig. 9). Unfertilised pots (control and BC control) contained very low concentrations of nitrate throughout the soil profile, whereas all soils receiving N-containing fertilisers contained significantly (P < 0.05) higher levels. The high N urea-BC treatment contained significantly (P < 0.05) higher levels of nitrate in topsoil than the low N urea-BC blend, but both were not significantly different from the straight urea treatment. Urea-enriched BC granules were successfully made at both laboratory and pilot scale. The pilot-scale granulation was achieved within the drum of a superheated steam dryer, thus enabling the simultaneous granulation and drying of the granular product. Superheated steam drying provides an intrinsically safe method for drying BC which has a propensity to undergo spontaneous combustion. The atmospheric pressure of the superheated steam reduces the cost and energy requirement for the drying process and provides the option to recapture the latent heat required to dry the coal . The N content of the dried products at all C:N ratios was close to the theoretical N content determined from the initial amount of urea addition to the wet coal. This was true for all of the drying methods tested here and despite the observation of crystalline urea on the surface of the high N formulation, which may have resulted in lost urea. The role of the urea within the granulation process should also be considered. This highly soluble fertiliser dissolves into the inherent water within the raw BC, which is partially drawn to the surface of the coal particles, reducing the consolidation time required within the granulation process. This was observed in the significantly reduced granulation time for the laboratory batches of urea-BC compared to the granulation of BC alone. This partial extraction of the inherent water also reduced the requirement for additional water to act as a binder within the granulation process. The tumbling motion and impact forces on the coal particle during the consolidation process drive the inherent water to the surface of the coal particle where it acts as a binder between coal particles to begin the granulation process. As the granules continue to form, the impact forces on the granules drives more water to the surface allowing the granule to grow further. This may also effect the final distribution of the N within the wet granules. The difference in the drying mechanism between air dried granules (surface drying) and steam dried granules (internal removal of water vapour), may also have an impact on the final distribution of the N within the dried granules. Further investigation would determine if this effect is significant with respect to the final use of the urea-BC granules. The final strength of the dried granules is significantly less than that of other fertiliser granules currently used in agriculture. To enable the urea-BC granules to be a feasible alternative, further work on the formulation is required to increase the granule strength. An additive to either the binder or the urea-BC solid blend may provide the required strength for the dried granules. Granulation of urea with BC had a strong effect on the behaviour of the fertiliser N in the soil system. Both high N and low N urea-BC granules maintained higher total N and ammonium concentrations in unplanted topsoil, suggesting a mechanism by which the BC either slows the rate of urea hydrolysis or binds to ammonium, making it less mobile. This is supported by the leachate data from unplanted soil, which showed that by granulating the urea with BC, less mineral N (both ammonium and nitrate) was leached from the soil profile as compared with straight urea. It is important to note that the high N granules did not retain as much N in the top soil. This is similar to the findings of Gentile et al. , who demonstrated that fertiliser N retention was higher in soil amended with low quality (i.e. low N) residue than high N residues, due to net N immobilisation. However, in their case, it was postulated that immobilisation was primarily a consequence of increased microbial demand to match the higher availability of carbon-rich growth substrate. In our case, we believe that microbial immobilisation due to a higher C availability is unlikely, since previous studies have shown brown coal to be a poor C source over short-time periods . Instead, it is likely that adsorption of urea and/or mineralised ammonium to the lignite matrix is the main mechanism responsible for immobilisation, as has been observed for high C:N biochars [8, 24]. The lower retention of N in topsoil by the high N granules appears to be a consequence of oversaturation of sorption sites within the brown coal matrix, as shown by the presence of urea crystals throughout the granules (Fig. 3). This effectively increases the surface area of the crystalline urea and would promote faster dissolution and associated leaching. The low N urea-BC granules were also superior to the high N granules in terms of N2O losses: emissions were significantly reduced by incorporating more BC in the N fertiliser granules. The fact that there was no significant difference in N2O emissions between urea and high N brown coal granules suggests that the availability of nitrate for denitrification over the duration of the experiment was similar in these two treatments. In contrast, the reduction in N2O emissions from the low N urea-BC granules treatment suggests a lower nitrate availability over the duration of the incubation, or, alternatively, that the nitrate was retained in a zone where the activity of denitrifying organisms was inhibited. There is also speculation that low N (high C:N) biochars can reduce N2O emissions by catalysing the further reduction of N2O to N2 [25, 26], which could represent an additional mechanism by which brown coal blends can reduce N2O emissions. Further research is needed to elucidate the primary mechanisms responsible for altering N2O dynamics. In contrast to unplanted soil columns subject to leaching, granulation of urea with brown coal did not drastically alter the movement of N compared with straight urea in the planted soil columns. Part of the reason for this is likely due to the less severe irrigation regime, since planted soil columns were watered to 60 % field capacity three times with only one complete saturation event (representing a heavy rainfall) at day 25. Nevertheless, there was still evidence that incorporation of brown coal reduced nitrous oxide emissions, compared with conventional urea, especially under saturated conditions (Fig. 8). Importantly, the granulation of urea with brown coal did not reduce plant growth or the acquisition of N by plants in this limited six-week growth study (Fig. 7). In a similar study evaluating organo-mineral N fertilisers, Richards et al. found that blending urea or ammonium nitrate fertiliser with peat reduced total N uptake by 9.1 % in three successive, 6-week corn crops grown under glasshouse conditions. However, under field conditions they found no significant differences in yield or N uptake by corn grown with conventional ammonium nitrate fertiliser or peat-blended ammonium nitrate. In our study, the short-time frame of the trial probably masked any potential effects, as evidenced by the minor differences between N-fertilised treatments and controls not receiving N fertiliser. In addition, we did not measure ammonia volatilisation during these experiments. Ammonia volatilisation can represent a significant N loss pathway from the plant/soil system, particularly in alkaline soils . More work is therefore needed to extend the duration and scale of the plant growth experiments, together with additional measurements of potential N loss through ammonia volatilisation. Overall our results suggest that granulation of urea with BC can strongly reduce N losses from topsoil, by decreasing N leaching and gaseous emissions. In doing so, it is anticipated that a greater amount of fertiliser N will be available to crops over a longer time period, increasing the efficiency of fertiliser N use, but this remains to be validated. Furthermore, our results show that varying the C:N ratio of the blended fertilisers has a significant impact on the N dynamics, suggesting that there is further opportunity to optimise the ratio of C:N to minimise N loss from soil whilst maximising crop uptake. Urea and BC was successfully blended, granulated and dried on a pilot scale. The granules formed were of an appropriate size for agricultural use, although the current formulation produces granules that are not strong enough for the handling requirements of a fertiliser. The N retention in the granules is close to that calculated theoretically for the formulation and is consistent for all the air drying and steam drying methods tested. The urea-BC granules significantly reduced the amount of nitrate and ammonium lost though leaching and also reduced the emission of nitrous oxides from the soil, whilst not reducing the plant available N. N losses were lower for the low N urea-BC formulation than for the high N formulation, emphasising the significant role of the brown coal in the N retention. This work provides a proof of concept for the pilot-scale production and use of BC blended organo-mineral fertiliser granules. Additional work is now necessary to characterise urea-BC granule behaviour in various soil types and under field conditions. MTR and ELP conceived experiments, conducted experiments, analysed data and drafted the manuscript. BKS and ECWT conducted experiments and assisted in drafting the manuscript. TRC, WRJ and KPH assisted in interpretation of data and writing of the manuscript. AFAH and AFP helped design and conduct experiments, interpret data and write the manuscript. All authors read and approved the final manuscript. We wish to acknowledge Pinches consolidated industries (Keith Engineering) for use of the pilot-scale superheated steam drum dryer, and funding from Brown Coal Innovation Australia under the projects: “Improved handling of lignite and lignite derived products” and “Coal-derived additives: A green option for improving soil carbon, soil fertility and agricultural productivity?”. BKS was the recipient of a Monash Graduate Scholarship. Thank you to Ross Ellingham for coal preparation and assistance to run pilot equipment and to Monash Undergraduate students Nick Reid and Benjamin Harris who assisted with data collection from the soil studies. This work was funded by Brown Coal Innovation Australia. Jirka S, Tomlinson T. State of the biochar industry—a survey of commercial activity in the biochar field. http://www.biochar-international.org/sites/default/files/State_of_the_Biochar_Industry_2013.pdf.